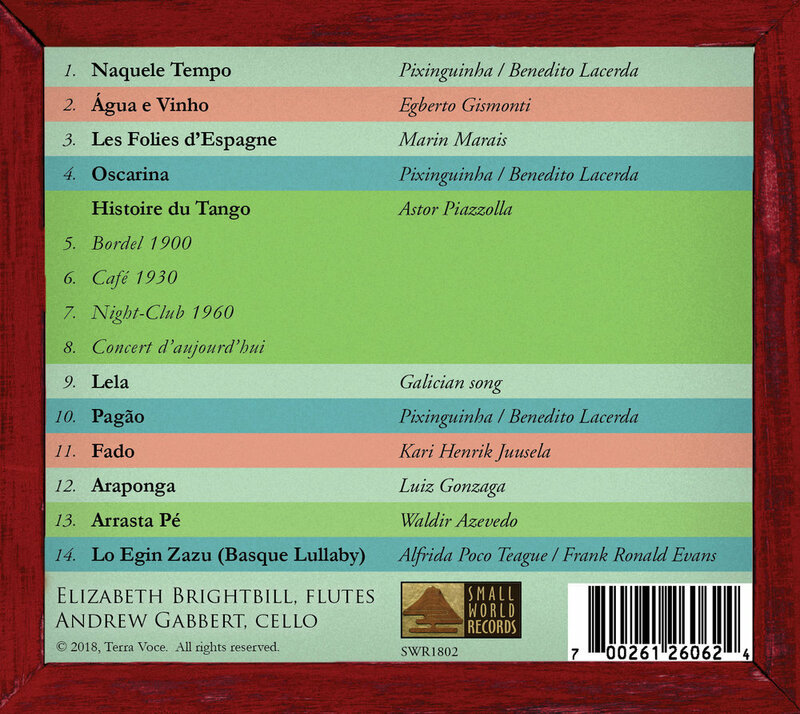 This 3rd Cd by Terra Voce is an exploration of their love of Brazilian choro, Argentinian tango and Portuguese fado, the cross continental roots of much of the beautiful emotive music contained in this disc. 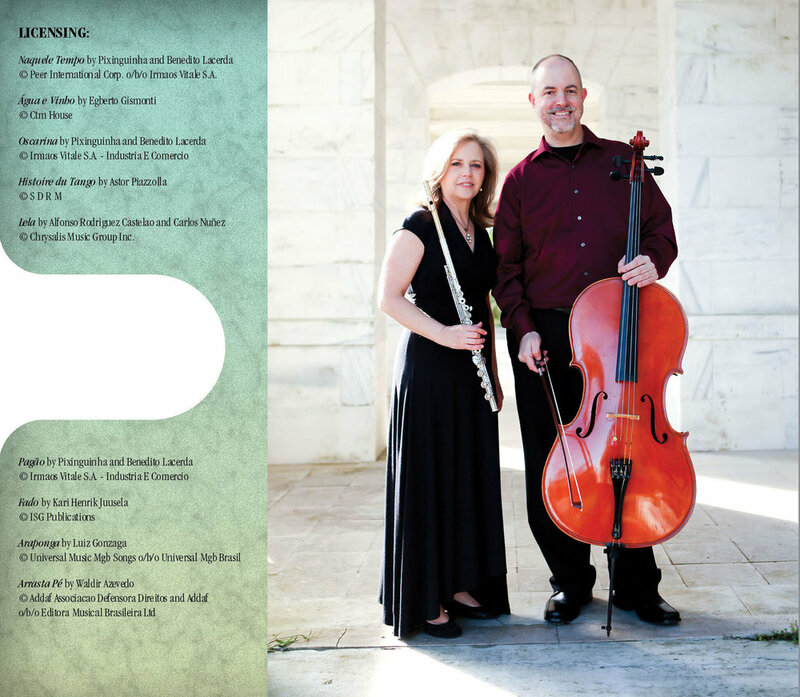 Andrew Gabbert on cello and Elizabeth Brightbill on C and alto flutes, both masters of their instruments, bring you stunning arrangements and performances of music from Egberto Gismonti, Astor Piazzolla, Luiz Gonzaga, Marin Marais, Pixinguinha, Juusela, Azevedo and more. Visit the Terra Voce website here.